"One of those books that publishers like to say 'transcends the genre,' but in this case it's true." 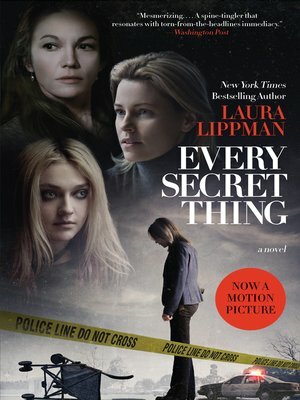 Every Secret Thing is a riveting story of love and murder, guilt and innocence, adult sins and childhood darkness that the New York Times Book Review hailed as, "powerful...disturbing." Stepping away from her acclaimed, award-winning mystery series featuring Baltimore private investigator Tess Monaghan, author Laura Lippman has delivered a novel of psychological suspense that will shock and mesmerize readers, gripping them to the page while breaking their hearts. The tale of a terrible event that devastates three families, after two young girls discover by of an unsupervised baby on an empty street, Every Secret Thing is a bravura demonstration of the extraordinary storytelling skill that has won Laura Lippman every major literary prize bestowed upon mystery writers, including the Edgar®, the Anthony, the Shamus, and the Agatha Awards.